We develop custom applications for graphics play-out when complex event scenario or live sports data gathering require software assistance and data processing in order to maximize efficiency and speed during the live show. DeckLink capture and playback cards are used for all our software products to ensure the highest quality video and maximum reliability. We can integrate any Blackmagic Design (tm) product in complex systems to solve specific needs requiring complex system integration. 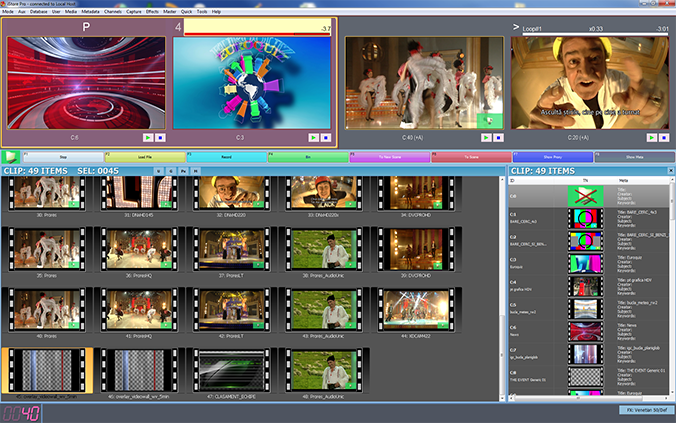 Logomaster Engine performs smooth graphics playout with automated data gathering, external interface, easy user operation and powerful graphics editor. Complex multichannel configurations can be implemented with multichannel Decklink cards (Duo 2, Quad 2) or multiple Extreme boards (up to 8). 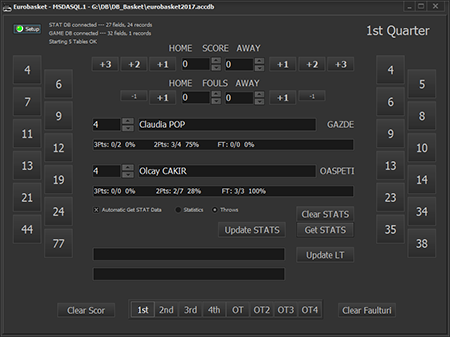 Custom software application for Eurobasket competitions integrated with FIBA Europe Stats Suite for live data gathering. 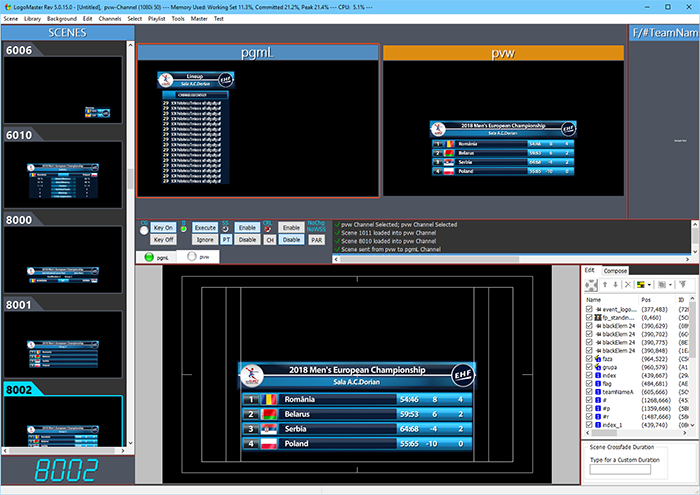 Custom software application for Handball competitions with easy live operation complete with time and suspension timers. 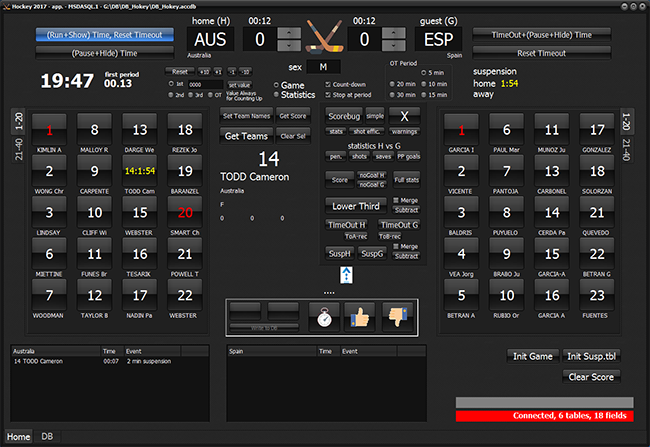 Custom software application for Hockey competitions with easy live operation. 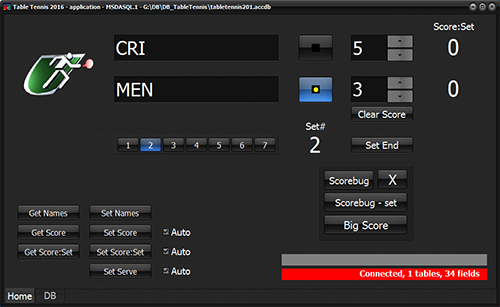 Custom software application for Table Tennis competitions with easy live operation. Still and clip store, multi-channel playout device, iStore Pro is fast, designed for unforgiving environments such as live control rooms, remote production trucks, news studios, where manual operation should happen fast and precise. Complex multichannel configurations can be implemented with multichannel Decklink cards (Duo 2, Quad 2) or multiple Extreme boards (up to 8). Multichannel Ingest Server, able to record from live video in Apple(tm) PRO Res, Avid’s DnX HD, DVCPRO HD, XDCAM. 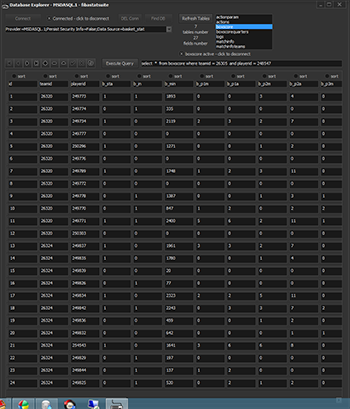 Crash record or automated ingest for up to 8 HD-SDI signals. Complex multichannel configurations can be implemented with multichannel Decklink cards (Duo 2, Quad 2) or multiple Extreme boards (up to 8). RESIZE to a predefined dimension. Optionally, the images in different sizes of the same headshot can be generated automatically in the final stage.